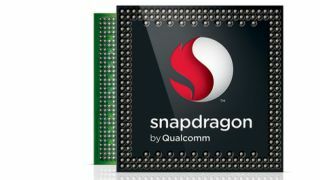 With 2012 proving a record-breaking year, Qualcomm's smartphone-powering Snapdragon chips are keeping the company's bank vault nicely stocked with cash. In its financial year 2012, Qualcomm's revenues were up 28 per cent, its operating income was up 13 per cent, its net income was up 43 per cent and, we hate to sound like a broken record, but its earnings per share were up too. As a result, the company raked in a net income of $6.11 billion for the year. That's about £3.8 billion or AU$5.9 billion. It's looking a touch less rosy in the quarter-based results, with income for the final three months of Qualcomm's financial year up only 5 per cent – although, crucially still up. As tech waves go, Qualcomm is riding a good one with its CEO Dr Paul Jacobs attributing the huge cash harvest to the explosion of wireless data and the smartphone market. It won't stop there, either, with Dr Jacobs saying that he expects "double-digit revenue growth in fiscal 2013" as a result of a robust Snapdragon and 3G/LTE roadmap. In English? More money coming next year.